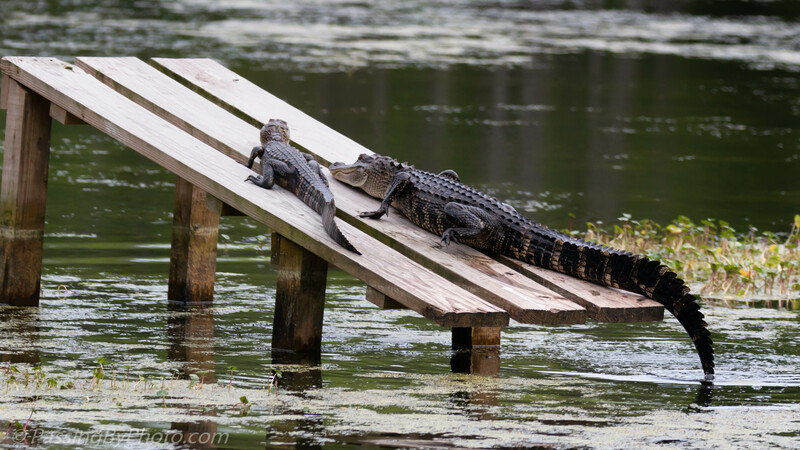 Many nature areas provide ramps for the Alligators to get get out of the water and sun themselves. 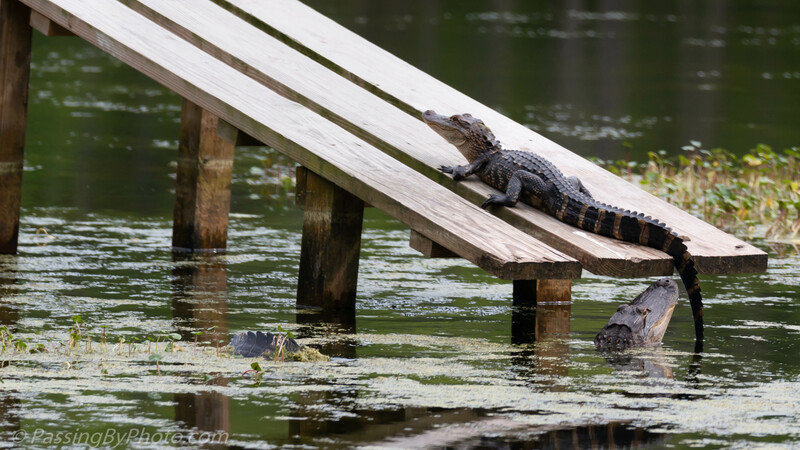 The result is safe, fascinating viewing for visitors and keeps some of the Alligators out of the areas where said visitors might be walking. Usually the low end of the ramp is in the water but the pond has been lowered for maintenance so access to this ramp required some work. 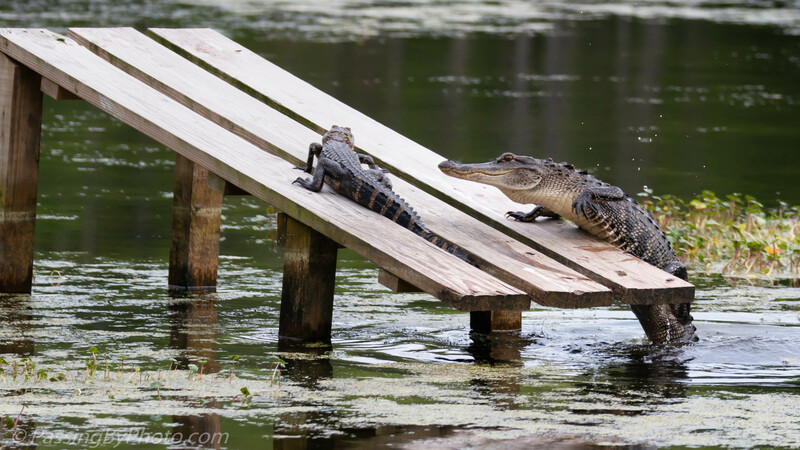 A younger Alligator was laying there minding his own business and didn’t seem aware he was about to have company. He stayed in that spot for longer than I expected. But then he thought better of it as the larger Alligator heaved up over the side with a gargantuan effort. For a moment I thought the big one was going to flip back into the water. 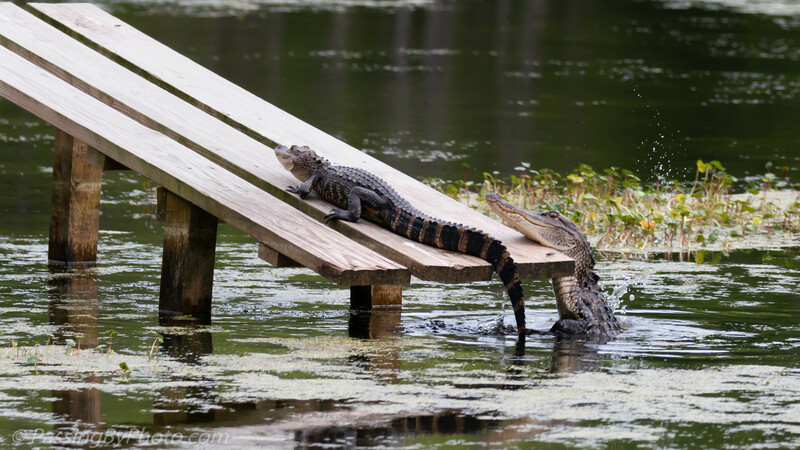 Alligators are proportionally tail so even with his front legs on the platform he had a ways to go. The big guy made it and the little one moved a few more inches away. 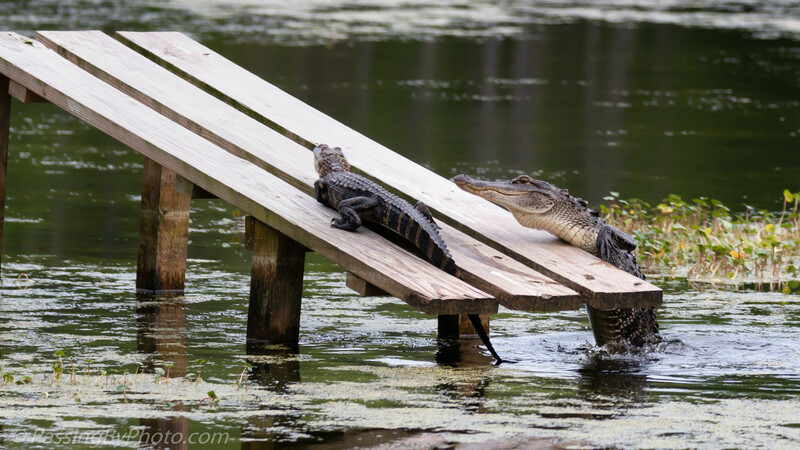 The larger Alligator is probably 4 to 5 years old. He is loosing the yellowish stripes that younger ones have to help with camouflage. When they get to be this age and size they are no longer prey to other animals.